A new ski sport is emerging that is called “UpSki”. Upskiers use a specially designed parachute that pulls them up the mountain with just wind power. Upskiers enjoy backcountry skiing without hiking or skinning to get up the mountain. UpSki has a shorter learning curve than kite skiing. It’s less maneuverable than a kite for sure, but it has more surface area for pulling someone up a hill. The UpSki canopy also has an adjustable vent that the skier/rider uses to control speed or stop. UpSkis perform best with winds between 10 and 40 mph. 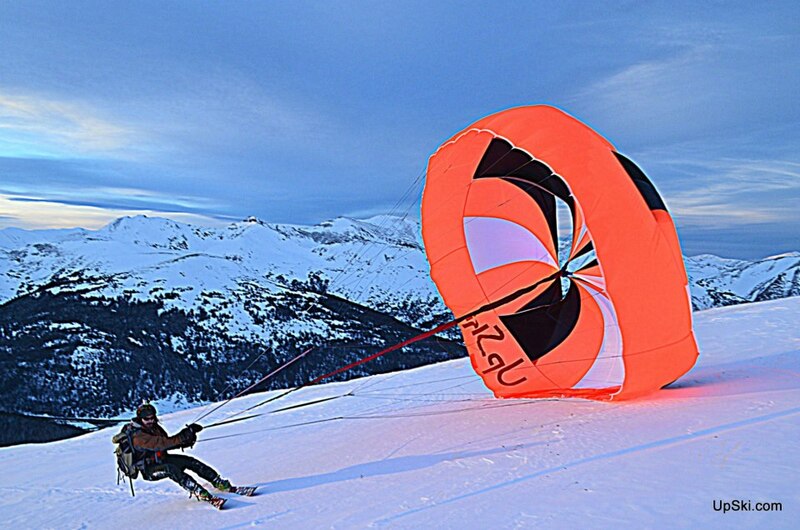 In lower wind conditions, power is dependent on slope angle, snow conditions, and rider weight. The UpSki website calls their sport “wind mountaineering”. UpSki is a small company in Colorado that makes the canopy, controls, harness, and instruction manual. The cost to ski uphill is a hefty $2,800 dollars, but it would sure get you up a mountain faster than skinning. This is less demanding to comprehend, if one acknowledges that through the utilization of a Skywalker Kiteboards an individual builds his or her constitution's surface zone, which brings about expanded air safety and in this manner a form's movement backs off.